We absolutely love the Wavewalk 700! It’s everything we were promised it would be! We’ve had it out a couple of times due to busy schedules but I’ve never enjoyed kayaking as much as I have with this kayak! It tracks beautifully just as promised, and so comfortable to sit in for long periods of time! We absolutely love it and recommend it to everyone we talk to! It’s also a dream to transport. It’s so light and easy to put on top of the truck, strap it down and away we go! Thank you for such a beauty of a vessel! Love it! Here’s a couple of pics of the kayak and Scot out on the lake. Loved every minute of it! Thanks! Thank you Scot and Mary Alice! You certainly deserve to be satisfied! 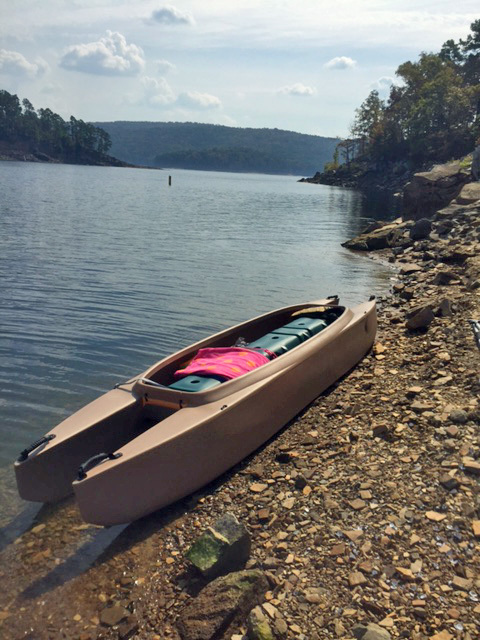 I did a little Google searching… Lake Ouachita looks like a freshwater fishing paradise. And, top trophy Striped Bass producer, too! And, Scot, I’m kind of partial to canoe paddles, also. It’s really easy to paddle Wavewalks in a canoeing style, even solo. 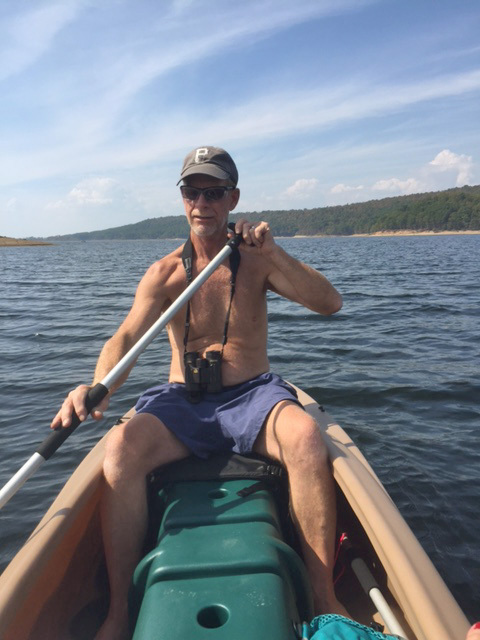 Our “Joystick Steering” video shows the canoe paddle I took with me on that occasion.